The days after a big show are always fun because you can be sure that photos will be popping up online. Jason has been posting his coverage from Driven, and tonight I begin as well. Admittedly the show is still very recent but even going through the photos just a few days after is reminding me of how much fun it was. Yes, a number of us left the show a bit tired and sore from standing almost all day, and frankly I don’t want to even think about cleaning the Focus again for a while, but the whole experience was absolutely worth it and it was one of the most enjoyable days I’ve had this season. Tonight’s post will be taking a look at the actual event, starting the morning of the 23rd before the show began. 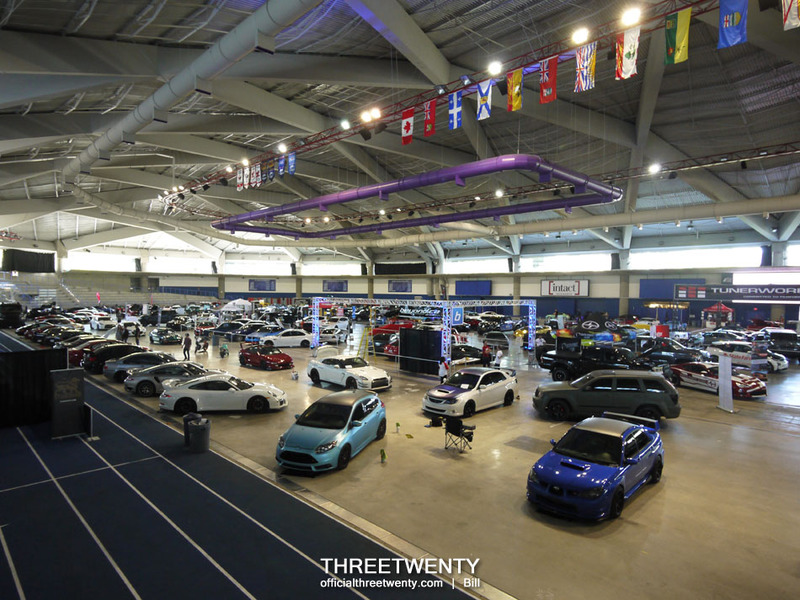 While Driven officially ran from 1 until 9, those who were participating were allowed to enter the Oval as early as 10am which allowed some extra time for cleaning and setup and also gave us the opportunity to explore the show without all of the added foot traffic of the spectators. Taking a taxi over to the campus put me at the Oval a couple of minutes after 10. I was the first of our group to arrive but I had to meet up with some others and hand out some additional decals so that they could be applied/set out in time for the main event. Once that was taken care of it was time to grab some photos. As with last time, I wanted to start my rounds with my camera before the crowds joined us at 1, and although there’s the trade-off of the lighting not beings as good yet (not all of the lights were turned on in the Oval before the show started) it’s nice to be able to see the cars in detail and take photos without having to watch for people who are about to walk into – or wait for people to leave – the frame. The arrangement we finally decided on had Shane, Alex, Kanji, Derrick, and Yolanda together in one row along the wall. Last year for Sunday School I had tried to get the FR-S and BRZ parked together but *someone* didn’t want that and parked his car a few stalls away instead. This time I was able to get the two parked next to each other. As mentioned, the night before when we found out we were parked right next to the stage (which you can see in the photo above) we thought it’d be perfect! It was great, but we may have been quick to call it perfect. It never occurred to us that being next to the stage would mean being right next to the extremely loud music and having huge crowds swarm around our cars….of course most would be enthusiasts but we were still concerned about purses, watches, and so on scratching paint. Fortunately paint was left unharmed but we did end up having to yell a lot during the day in order to hear one another. Anyway, moving on now. These are presented roughly in the order I took them, but I wasn’t following a set path through the show either. With so many great cars on hand it was easy to start walking in one direction and then be diverted in a completely different direction when something else caught my eye. 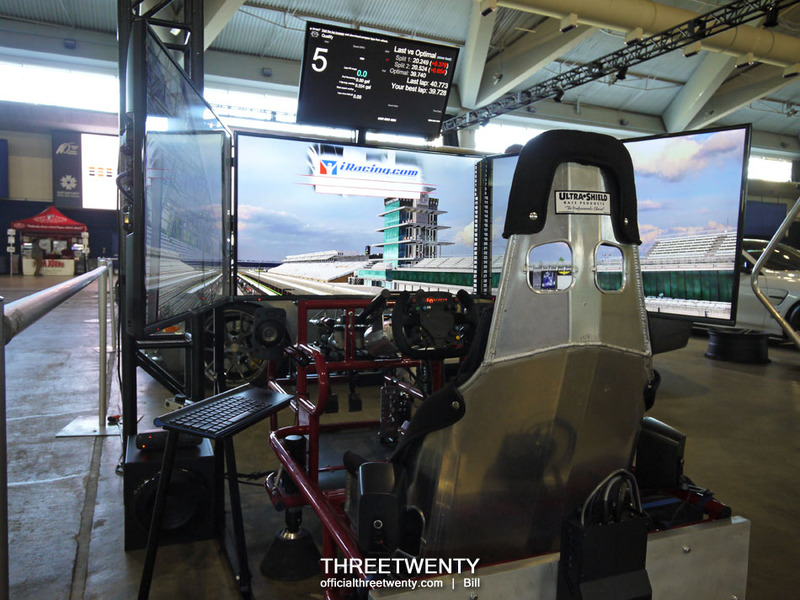 I ultimately made multiple laps of the venue though to see everything on display because I didn’t want to miss anything. It was parked near us, so we begin with Alex’s Integra. It remains as one of the most immaculate cars I’ve ever seen in person and when you stop to study it you’ll find no shortage of amazing details. The exterior is subtle but when the hood is open the car really grabs your attention. I don’t think there are many engine bays around here that come close to his. There was one car in particular that I was eagerly waiting to see, and this is it. While I said that the standard of cars was higher this year than before, this TSX was on another level still. I always find it hard to pick one absolute favourite vehicle out of an entire car show but for Driven ’15 I think I’d have to select this one just for how complete it was. It had air ride, forced induction, big brakes, and a full inside-and-out colour change with a unique grey/teal two-tone. The owner even drove it all the way from Manitoba for the show! 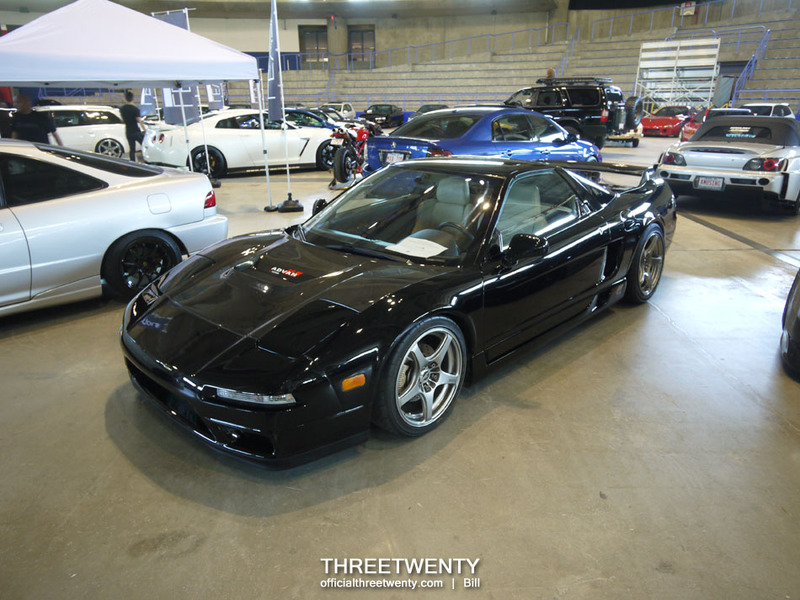 Coming along with the TSX for Driven in Calgary was this NSX. Unfortunately I can’t share too many details about it as I don’t know that many, but it was a clean example of Honda’s supercar and it’s always cool to see one. Parked on the other side of the TSX, this 350Z was also part of the trio from Manitoba and was one of the highlights of the show for me. That may have been partly because I’m a sucker for bolt-on overfenders but the whole package looked really good and I’ll always be a fan of 350s. Josh’s S5 had a couple of new exterior additions in the form of a new front lip and rear diffuser. Already sitting quite low thanks to the bags, the front lip brings the car’s nose just that much closer to the ground. 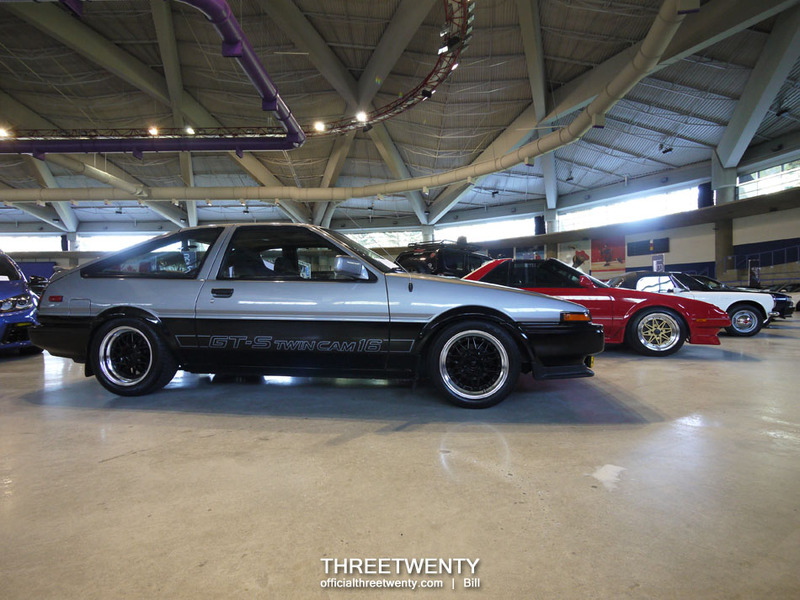 More bolt on flares, this time in carbon fiber on a pretty tidy 86. The white and black two-tone will never get old on these. Sitting on the windshields of this S14 and S13.5 were some decals up for grabs and it didn’t take long for them to disappear! If you take a closer look at the S13.5’s engine bay you’ll see how some of the original structure has been cut away and replaced with tubing. Here’s one for you lovers of old-school Toyotas, with a Honda S600 sneaking into the shot for good measure. As I’m sure some readers will know, there are two iconic Japanese cars sitting at the very top of my “Cars I must own someday” list, and I found them parked together at the show – an S15 Silvia (Dustin’s) and Integra Type R (Jackie’s). An interesting note is that this ITR is actually a ’97 model which has received a ’98-’01 exterior conversion. On top of that it’s lowered over TE37s and happens to wear my personal favourite wing for the chassis, a Mugen Gen. 1. I believe that the bagged TSX is actually the same colour as this S2000, which is Porsche’s Grey Black. This one actually just came out of the paint booth within the last month as far as I know. This wasn’t the greatest shot by any means but I was not passing up the opportunity to get all three of these legends in one photo. If you had to pick just one, could you? Steve’s caged, boosted, Mugen-clad RSX made an appearance. I was a huge fan of its old blue TE37s but the white CEs look pretty good too! 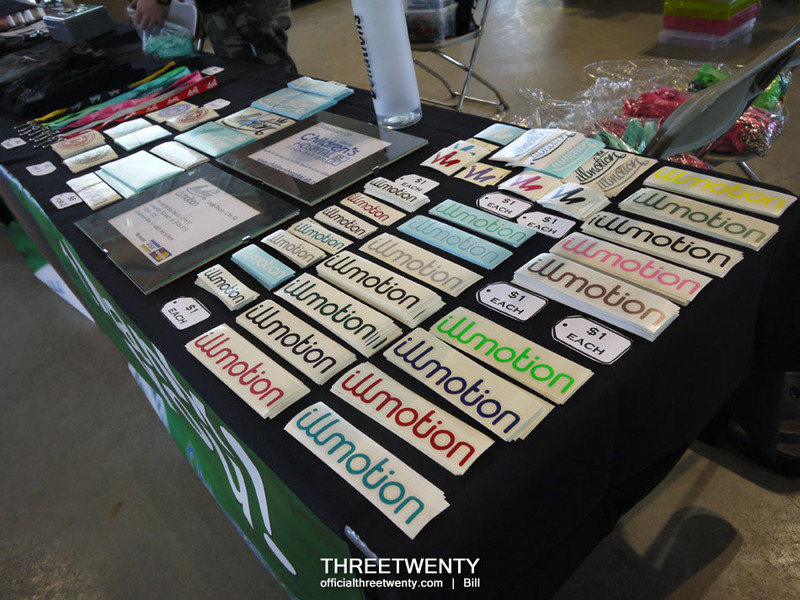 ill.motion was selling decals, lanyards, and shirts all day to raise funds for the Alberta Children’s Hospital and additional money was raised with an auction prior to the awards being handed out. It may be hard to see but Gopesh’s GTI is wearing flares from 1552 this year. The number of aftermarket flares/fenders/widebody kits seemed to be higher this year and I’m definitely not complaining about that! Aldrich kindly paused from cleaning his wheels for a quick snap. For those unaware, a little while back he switched over from his WRX to a manual-swapped S6 wagon. A wagon with three pedals is just plain awesome. Kanji’s OEM lip kit came off of this BRZ, which now sports a new front splitter to take the place of the old lip. This was unexpected but very cool, a stock-looking Civic Si. It’s almost weird to see one without aftermarket wheels or aero. Actually, it is weird. Haha. I think the one thing I like most of all about the twins (FR-S/BRZ) is how their aftermarket includes so many body kit and light options. It reminds me of several years ago (and further back), before the trend switched to more subdued, subtle styling. I know body kits have been coming back in recent times but I get a kick out of seeing the huge variety of parts available for these cars considering they haven’t been around that long. Frankly, plenty of them look really good too. 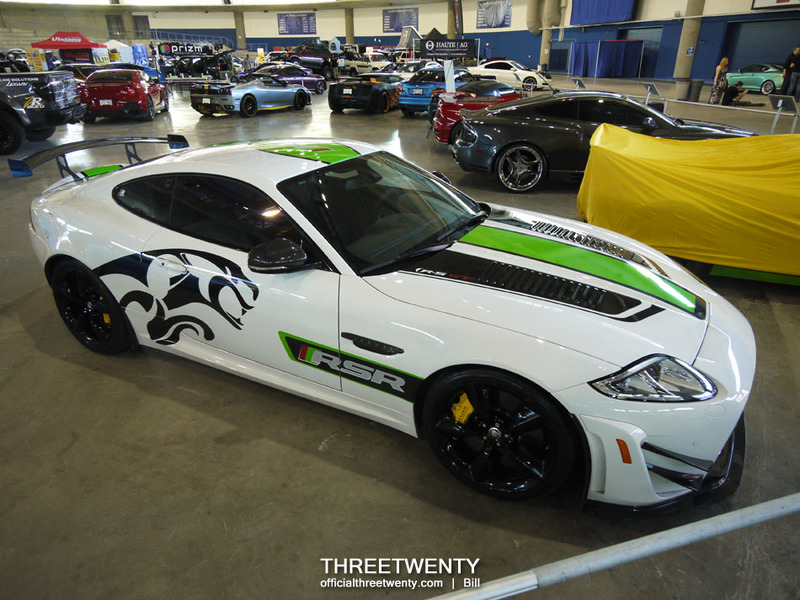 Owners really are spoiled for choice when it comes to modifying these cars. Walking around the Oval, I noticed a lot of Paul Walker decals and even this Euro plate. There’s no denying the significance and importance of the movies despite how many jokes we can make about them (how long was that runway again?). …while the other half had a lot of euros, domestics, and exotics. Obviously the show wasn’t completely divided, so this is generally speaking of course. Red window tint and blue wheels? Sounds strange you say? 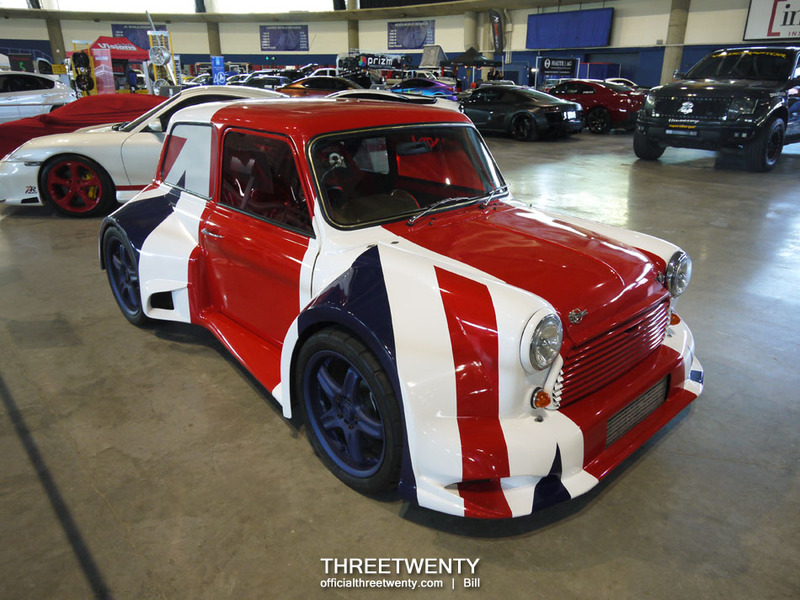 Take a look at this Mini and tell me it doesn’t work. Regardless, it had some pretty impressive performance figures as well – 400 hp and 360 lb-ft, out of a turbocharged Honda B18C! I didn’t get the chance to try it but I was able to watch others as they took turns in this simulator. I found myself more interested in the mechanics behind it instead of the racing going on though. The whole unit would move and shake to simulate what you’d feel in a real race car and shifting was done via paddles on the steering wheel, which also had a functioning readout for various data. Reportedly it was worth over $50,000? Before the show I had quickly heard about a blue Gallardo that would be sporting a Tron theme, so I was interested in seeing it in person. This is it; white vinyl – which I believe was actually reflective white – outlined the various panels and I imagine it’d look quite cool at night. ZR Auto had an impressive display of vehicles once again, for which exclusive, expensive, powerful, and head-turning were all appropriate descriptions. As I recall that was a Velociraptor in the background too. Understandably (?) there was a barrier running around their cars but it did get in the way of a few shots. 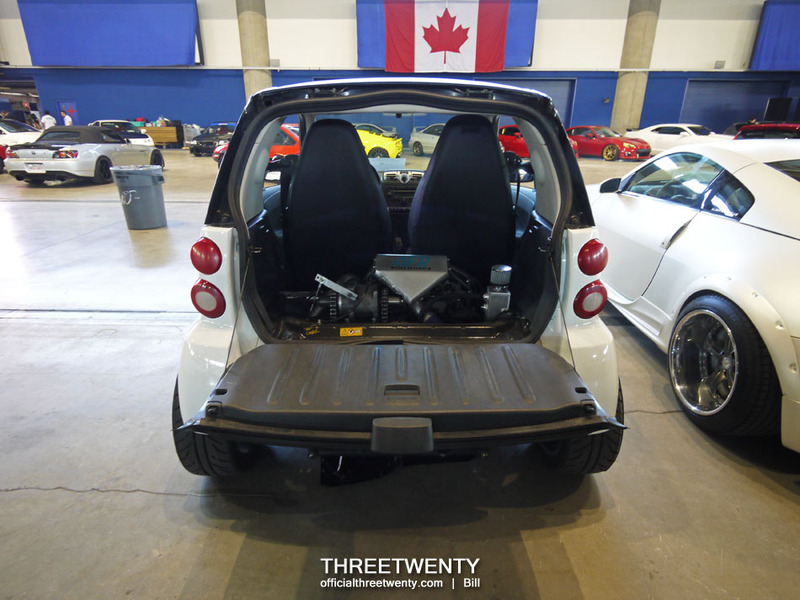 During setup on Friday we suddenly heard something that sounded insane rolling in, and we were definitely surprised to find out the noise was coming from a Smart Car! When I got to see it on display on Saturday my suspicions were proven correct and sitting in the back was a Hayabusa motor! 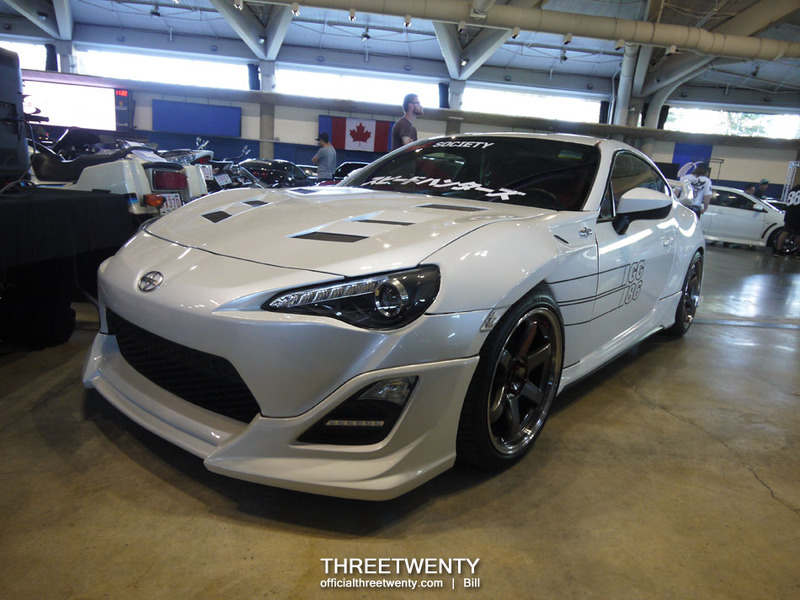 This Gray FR-S was one of the cars that came down from Edmonton for the show, representing Team Royalty. The Rocket Bunny next to it is in fact a BRZ (hence the headlights and fender vents) but wears an FR-S bumper in order to work with the V1 flares. This is where I’ll be ending the coverage for now but more is coming! Be sure to check back later this week and while you’re waiting, be sure to pop over to illmotion as they just posted their video from the show. Team condiments makes an appearance!